Lovely youthful summer dress. The bust gathering is trimmed with velvet ribbons. PDF pattern digitized from a 1953 German multi pattern sheet. Seam allowance is not included, you may add the amount of allowance you personally prefer. 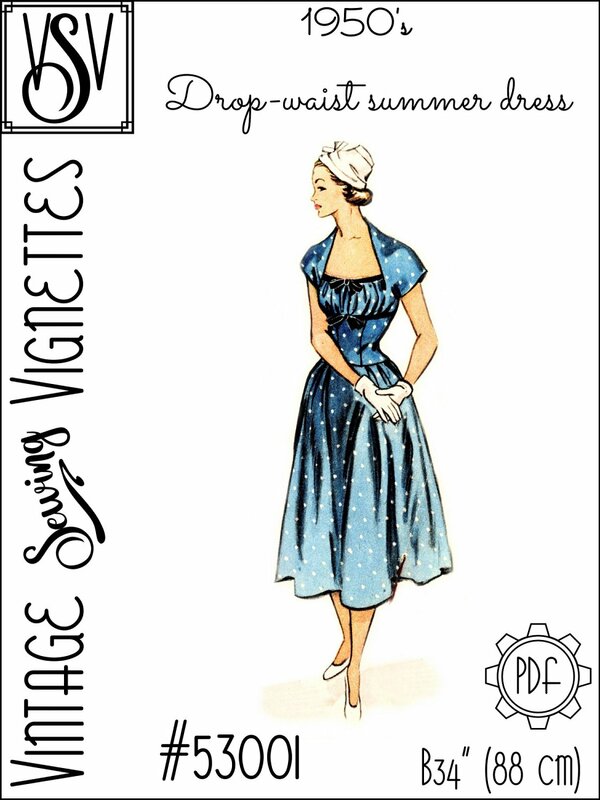 Please note that instructions are not included, so this pattern requires basic sewing skills and knowledge about how to put a garment together. The pages fit both A4 and Letter sized papers, but make sure you print att 100% (original size) - do not let your printer rescale it (i.e. "fit to page"-option)! The 36-page PDF file will be available for instant download as soon as you have completed the purchase.